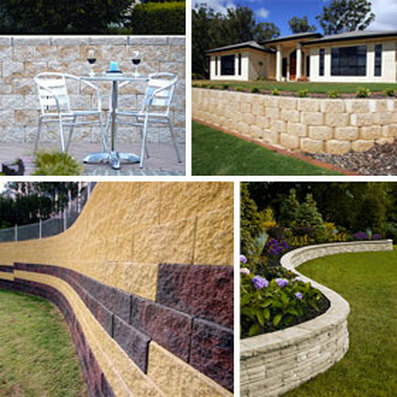 We specialize exclusively in retaining wall repair in the north Dallas area! This dedication to excellence makes us the most qualified retaining wall builder in the Carrollton area and ensures you get the best service possible on all your retaining wall needs! If you have a cracked retaining wall or suspect your property is suffering from erosion, it's time to call the pros. We never sub-contract out our work and our owner is present at every job site. As homes in the older areas of Lewisville and Carrollton begin to show age, retaining walls are at risk to collapse, especially after the recent storms. Don't wait - call us today at the number above! As professionals, we think the most important consideration in proper design and implementation of a new wall is to understand the tendency of the retained material (usually dirt) to move downward over time. This creates a lateral earth movement behind the wall which depends greatly on the angle of internal friction and the strength of the retained material. Since Texas has unpredictable weather patterns and soil, this can be tricky. That's why it's best to consult with a professional before beginning a project like this. Don't trust your backyard to just anyone! We also handle landscaping upon request and have commercial and residential clients across the North Dallas area. No matter what your needs, we can help. If you see your wall starting to crack and wear, it's best to handle the matter before it gets out of hand!